Wall kit 83154 hole diameter: 115mm, HWD: 159 x 159 x 15mm. 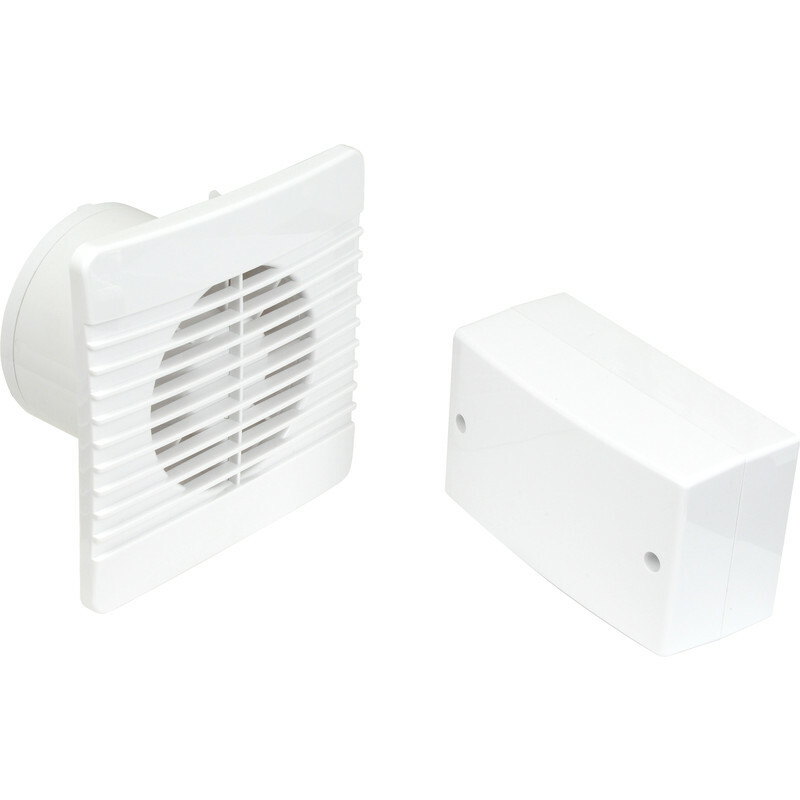 Airvent 100mm SELV 12V Low Profile Extractor Fan Humidistat & Pullcord is rated 4.6 out of 5 by 17. Rated 5 out of 5 by Sparky Jon from Nice product Fitted a few of these now, slim and sounds quiet when in use, looks stylish and has a handy built in back draft shutter. Rated 4 out of 5 by RoyH from Noisier than I expected Took first one out of its box to find the backdraught shutter was inside the fan - i.e. not in its correct position. Inspection showed it was broken and it appeared that the product had been returned to the store after being opened. The second one was OK, but it is noisy. Rated 5 out of 5 by WOZZR600 from Great extractor fan I bought the 12v model so it could be installed in zone 1. This was the best priced 12v fan I could seem to buy especially one with a higher extraction rate. Great fan, not particularly loud and keeps the bathroom steam free with ease. Wish I'd had one installed years ago. Back draught shutters are a little fragile but seem to do the job, I could always install a cowled external grille if needs be. My only 'negative' is that there is a blue LED in the transformer box that tells you if the fan is switched on (continuously) or if the LED is off then the fan is running on the timer, it would make more sense for this indicator to have been part of the fan housing as many people like me have probably fitted the transformer outside of the bathroom so I have to look inside the laundry cupboard to check. As I say, a minor niggle in what seems to be a fantastic product. Rated 5 out of 5 by PJC Sparks from Great service and stock I bought various items great quality and stock !